Well, Kentucky went from winter to full-on summer in about two weeks flat. Which is just as well because I was tired of bundling up. 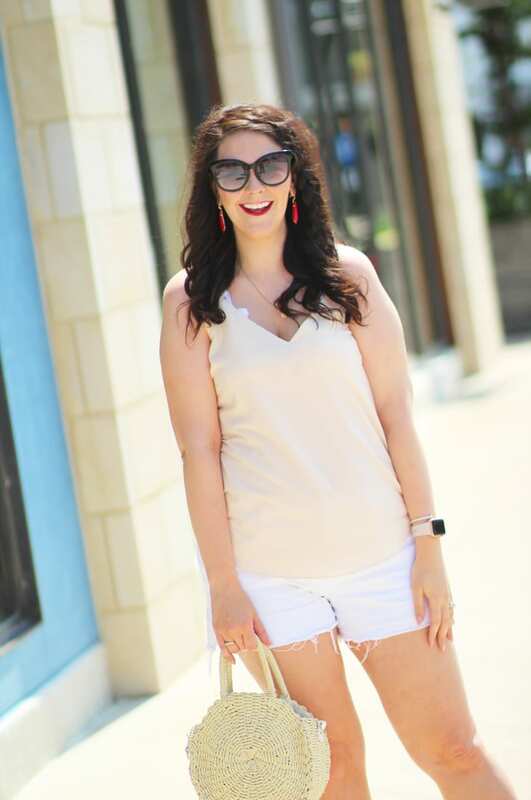 Tons of people rave about the downtown cami from Express. I finally picked up two, since they’re BOGO 50% off, and I’m in love! I purchased one regular white one, and the textured dot one I’m wearing here. It’s a great neutral, but the textured dots keep it from being plain. I also hopped on the bralette train–this white one from Free People is so pretty and goes with everything! 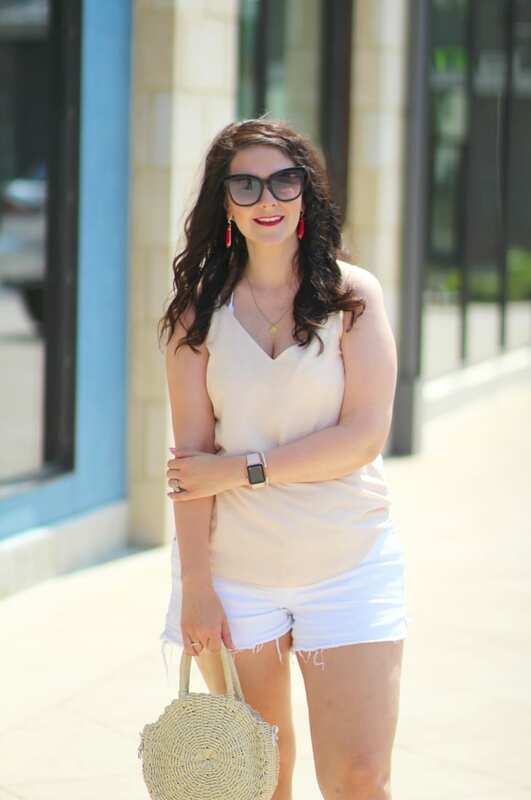 To keep my look simple, I pulled on my white button-front jean shorts. Guys, they’re on sale for $10.80 today! Grab a pair while you can. 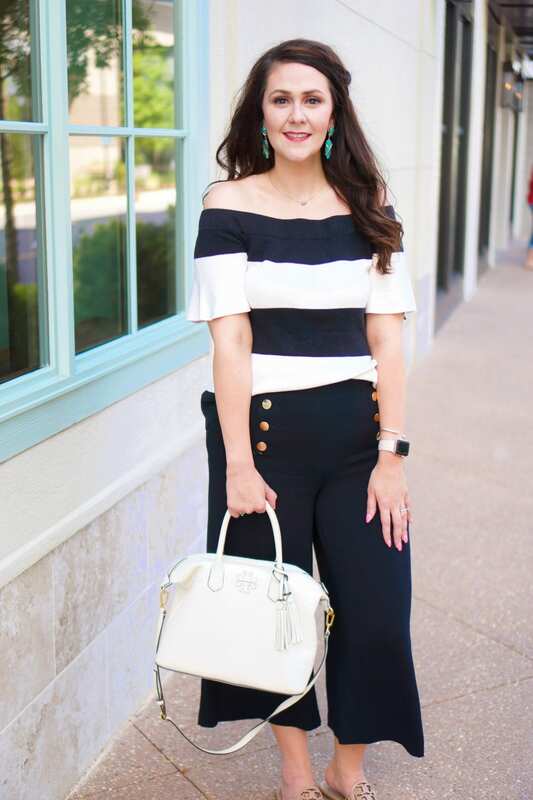 My Tory Burch sandals have been worth every penny–I leave them by the door and wear them most days, along with my straw bag. Isn’t it great when you buy something that you love and it goes with everything?! Looks great! I’m loving my TB sandals too! I really want white jean shorts! I love the peek of lace you have there!